On May 17th the New York Times did an investigative series on the bogus degree practices by a Pakistan corporation called Axact Fake Diplomas, Real Cash: Pakistani Company Axact Reaps Millions which brought to light how big this business really is and how many online universities are a sham. Axact has been sued numerous times in the United States as early as 2007 and in one case in 2009 found guilty in a class action suit on behalf of 30,000 people and was ordered to pay over $22 million, which has never been paid. 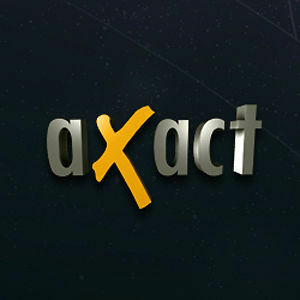 Apart from the alleged sale of fake diplomas and degrees through its online universities and colleges, Karachi-based IT company Axact has also been offering its services as “proxy students”, filling in for all the academic work originally assigned to students enrolled in reputed educational institutions in US, Pakistan Today has learnt. In January 2015 Edu Alliance began working with a number of media publications to make the public aware of bogus online universities. We were successful with stories appearing in The National Al Fanar, and the UAE Ministry of Interior 999 monthly Magazine “ A Degree of Illegitimacy”. What Edu Alliance has been stating since it began working with the media to help expose groups like Axact, is how damaging these bogus institutions are to the education and business community. Not only are groups such as these making millions selling fake high school and university diplomas and credentials but corporations are hiring or promoting people without proper qualifications. Students are turning to these bogus groups to write their term papers and thesis for a hefty price. The reaction from people I talk to in education and government about fake universities is outrage but very few are taking pro-active steps to shut these groups down. It is encouraging to see the Pakistan government has begun an investigation of Axact and promises a quick resolution, but it took the New York Times to get the attention and quick action of the government. How significant of a problem is it? The New York Times determined hundreds of online universities are likely to be linked to Axact’s operation “Tracking Axact’s Websites“. I took this a bit further by searching the LinkedIn profile of Nixon University. The information below shows you companies that Nixon alumni work for. 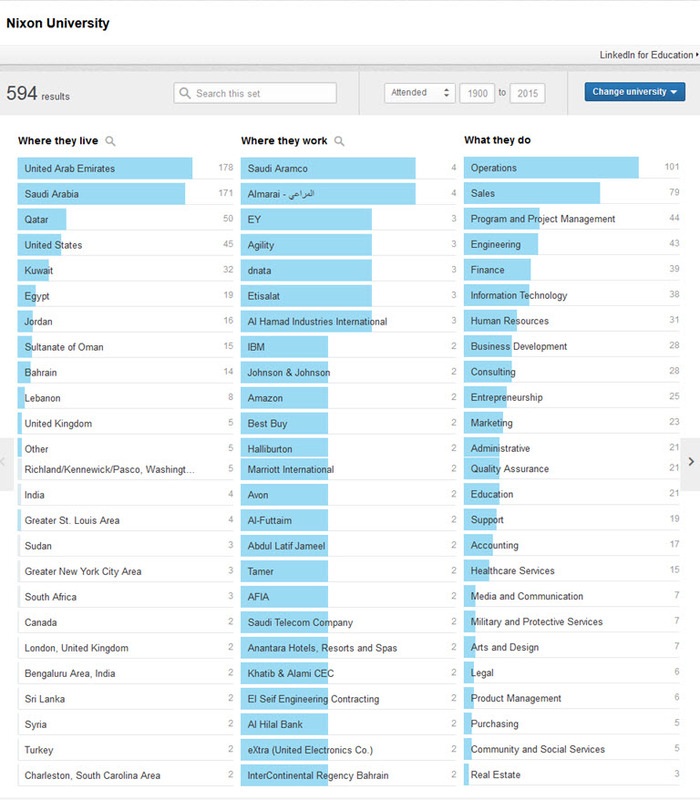 The data shows where alums work, area of responsibility, and country they reside. What additionally disturbed me was Axact offering multiple education “services” such as high school diplomas, university degrees and ghostwriting services for papers and exams. What does this all mean? The good news is one group Axact has been caught, but the bad news there are many others doing the same thing. In the article I participated in with Al Fanar, the reporter identified one such group as Must University. I suspect MUST is just one university held by a single corporation, which controls multiple university websites and degrees. The bogus degree industry has been in business for decades but with the ability to advertise on the Internet and social media such as Facebook they have taken the business to the next dangerous level. Many adults who want a degree because they must have one to get a job or get a promotion seem to be the easy target and will pay the money assuming employers do not check the validity of the degree. During the last few years several media organizations have investigated these schools. In the UAE; Gulf News, The National and The Khaleej Times reporters have produced important stories. In the international media Al Fanar did a series of stories, which received wide recognition in the education community, as has The Chronicle of Higher Education. Yet little had changed until the world’s most recognized newspaper The New York Times did their series. It will take a joint effort of government, employers, accreditation agencies and advertising venues such as Facebook and even LinkedIn to expose and eliminate these predators. One last suggestion: Now is the time for GCC education agencies to encourage local universities to offer online degrees. For many years’ American, Canadian and European universities have offered such degrees and the courses and programs must meet the same standards as a classroom program. By making it possible to get local quality degree programs will help eliminate some of the bogus universities. I am pleased to announce the 9th UAE Forum on Information and Communication Technology Research 2015 (ICTRF2015) will be held on May 17 at the Dusit Thani Hotel in Abu Dhabi. It is under the Patronage of His Excellency Hussain Ibrahim Al Hammadi, Minister of Education, UAE. It’s organized by Khalifa University (KU), and co-organized by the ETISALAT-BT Innovation Centre (EBTIC) and the United Arab Emirates Advanced Network for Research and Education (ANKABUT). This conference is near and dear to my heart and I serve on the Steering and Organizing Committee. The main theme of this year’s forum will be focused on “Towards a Smarter City” which includes sessions on: Smarter City, the goals and targets; Smarter City, the technology challenges and solutions; as well as Smarter City, sustainable impact on citizens lives and culture. The main topics in these sessions will be presented and discussed by prominent invited international speakers followed by a panel discussion. The free forum will be open to academics, researchers, and industry professionals from the fast growing ICT sectors in the UAE and the region. The event will begin at 9AM and conclude at 4PM. I would encourage you to attend so you may hear these outstanding speakers discuss the topic “Towards a Smarter City”. In order to register just click here. I will be attending so if you see me stop and say hello. In addition, you are invited on May 18-19 The International Conference on Information and Communication Technology Research (ICTRC2015) will be held in conjunction with the forum in Abu Dhabi. It aims to be the forum for scientists, academics, engineers, and industry professionals throughout the World to present their latest research results, ideas, developments, and applications in all areas of Information and Communication Technology.